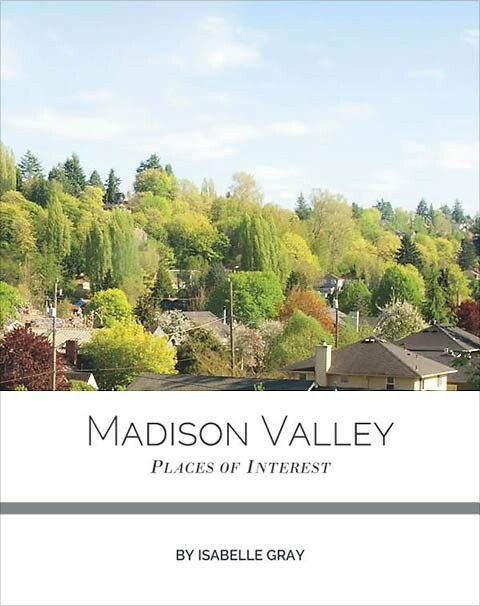 Isabelle Grey has made quite an impression throughout our community and beyond with her slim volume Madison Valley Places of Interest. Her book is well documented with accompanying photos. She covers dramatic historical events such as the horrific flood of 2006 and the creation of our park-like retaining pond that now protects us. A thorough review of our community’s parks and notable African-American residents is included. Other topics review the historical accounts of MLK Jr. School, Bailey-Boushay House, and the pea patch movement. A working understanding of historical events is imperative for the planning of our future development. Isabelle contributes by describing our valley with infectious affection. Love for the neighborhood is what inspires us to become community advocates. Anyone who lives in or loves Madison Valley would benefit from Isabelle’s book. It would make a great gift or addition to a home library. You can (of course!) find it on Amazon. Thanks for the lovely write-up!